01182013_Becherer_Pakistan001: Global News Events: Global News Portfolio: New Orleans based Photojournalist covering the Deep South and beyond. PESHAWAR, PAKISTAN. 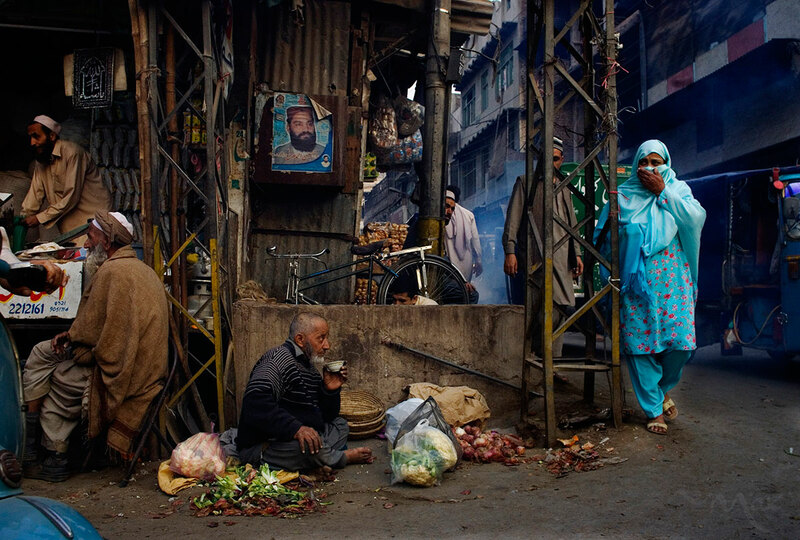 A man takes time out for tea as he sits along a busy street in the old town in Peshawar, Pakistan on Monday March 3, 2008. In the recent elections the Awami National Party (ANP), made up of largely Pashtun nationalists, has gained support over religious based political leadership. The vote signals a move by residents away from the oppressive restrictions of fundamentalist Islamic leadership in the region.